Started as a family business in 2012, Dark Horse Coffee leveraged their exceptional product & stellar service and took the popular spots in California with three locations in San Diego and one in Truckee. But it didn’t end there. They’ve launched a subscription club, through which their consumers can sign up and have bags of house-roasted beans delivered weekly or monthly. Their mission is to enrich their community in South California as well as the lives of numerous farmers, families and small producers in coffee-growing countries across the globe! With their success in expanding to 4 locations across southern California, it was a matter of time that they needed to take the global market and create an impact worldwide. In order for their coffee subscription service to be effective and striking for new & current consumers, the unboxing experience had to be carefully planned and executed perfectly. They needed a packaging for both their coffee pouch and their shipping box. One that can demonstrate the brand perfectly while maintaining a cost-effective budget. They also needed someone to guide them through every step of the way from ideation to fulfilment. End-to-end solution? That is where PakFactory comes in! Since Dark Horse Coffee was looking for an agency type service and specific options for their packaging, they decided that going for PakFactory’s freedom paperboard & corrugated service was ideal! By working with PakFactory, they were able to utilize the expertise of the team fully. Shipping Box: Corrugated Tab Lock Mailer Box with Flood Full Color Print (Digital). Retail Box: Tuck End Snap Lock Bottom with Matte Laminate, Gold (Hot) Foil Stamping for the logo & texts and spot UV coating for label border and small texts (Offset). Customers have been loving the new look and we are already working on our 4th project with PakFactory! Based on the client’s specifications and objective, PakFactory was able to put together the best possible options based on the scope of their project. 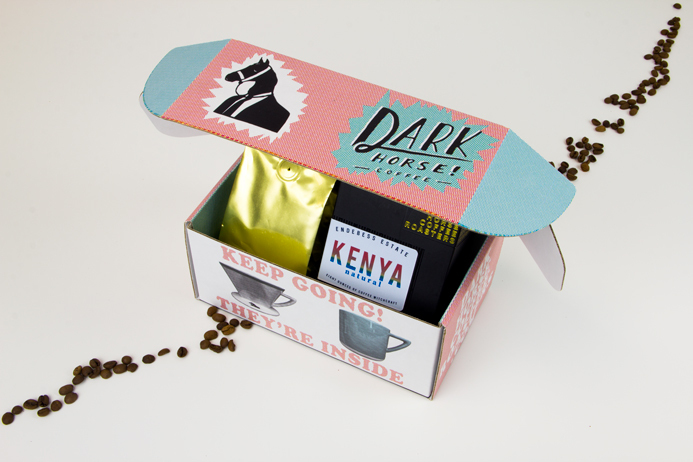 By deciding to use digital print for their shipping box, Dark Horse Coffee was able to cut down on both production and shipping cost (manufactured in our North America Facility). Since the retail box required more details and elements to create the luxurious experience for their product, Offset lithographic printing was required to put all the special elements on the box perfectly. 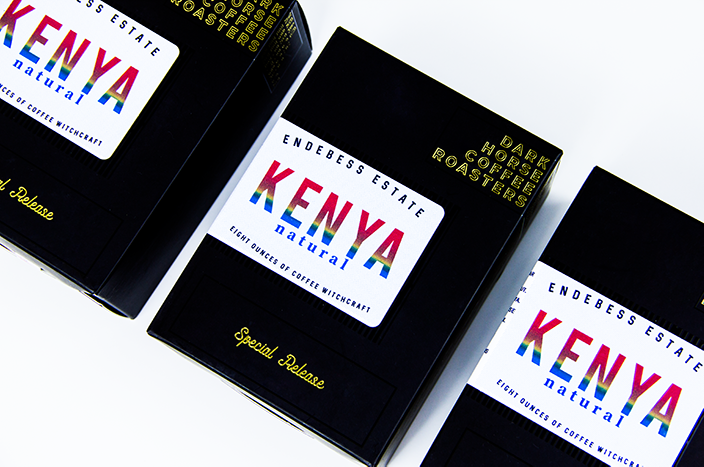 All in all, based on the options available for their designs and the dedicated support they received, Dark Horse Coffee was able to produce their packaging with confidence and hassle-free. 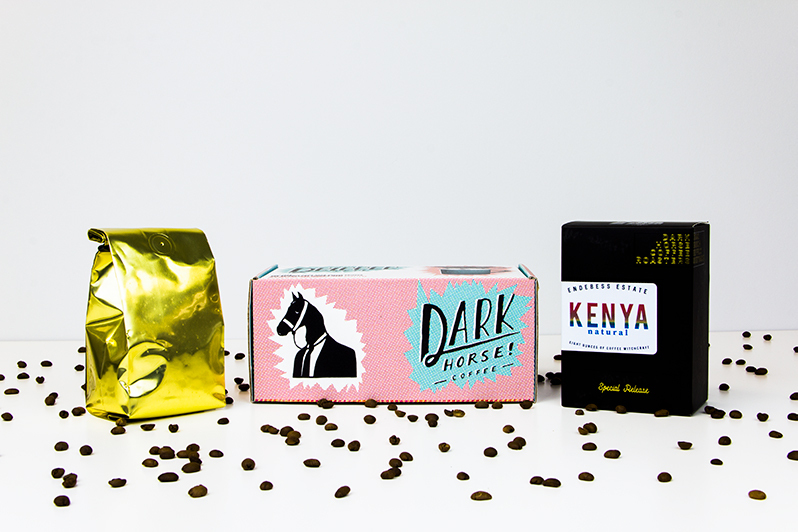 With their new packaging, Dark Horse Coffee Roasters is now in the position to take the global market by storm. PakFactory is here to support you on your worldwide success!